We visit with our friend Vlada Vladic of Cooking and Kids. She lives in Temecula’s Wine Country where lemon and orange trees are everywhere! 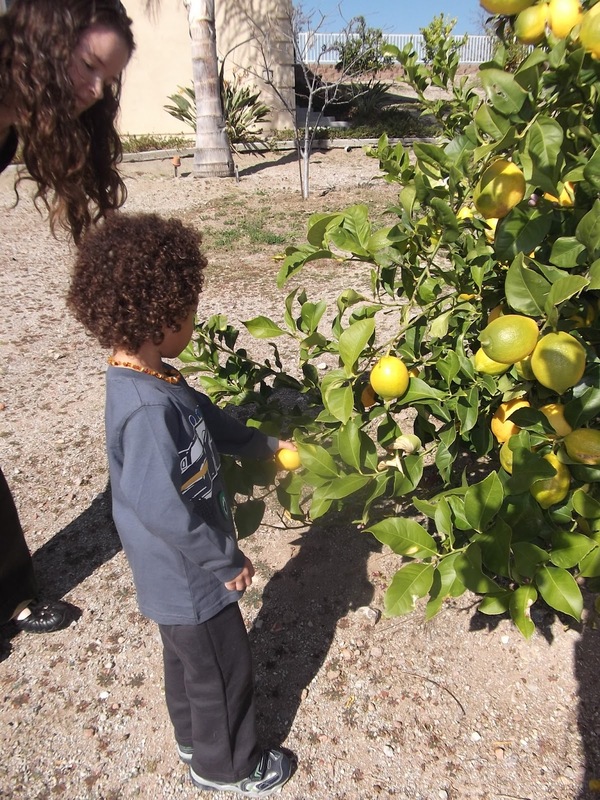 On a Friday in February, my son had the opportunity to pick some lemons from her “orchard” to take home. We drink a lot of water in our home so having sliced lemons on hand is ideal. There’s nothing like fresh picked lemons!! The benefits of lemons are endless. You can find many resources online that address this but to share a few of my favorites: 1) For starters, the taste alone is enough to add to water daily. Feel free to drink to your delight. 2) It serves as a diuretic. 3) High levels of Vitamin C. 4) Low in fat and cholesterol. Great as a seasoning on seafood and salads. 5) Finally, it helps prevent and perhaps even ‘cures’ many ailments such as sore throat, constipation, the common cold, nausea, heartburn; it boosts functionality of your liver and aids in the lowering of blood pressure. Drink up! Eat Well, Live Well. I should mention that Vlada shared with me that her two children (ages 8, 6) pick bags of lemons and take them in a wagon to sell to the neighbors. A bag holds about 10 large lemons. The kids sell each bag of lemons for $1.50. For her, the most important part of her children selling the lemons is so that they learn how hard it is to earn money, so that they can contribute to the family (even in the smallest way) and they put aside some money for their summer trip. In addition, a small portion of what they earn is donated to whomever they wish to help. As you can imagine they don’t earn much, however, they do learn a lot while doing this.